Imagine seeing others like you only on TV. That is what one family in Oklahoma faced everyday until Seattle’s NBA franchise relocated to the Sooner State . 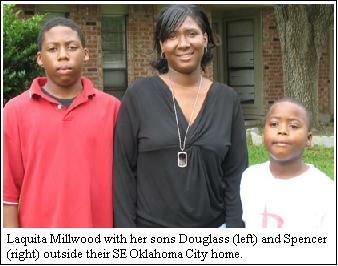 “I could not be happier”; said an almost breathless Laquita Millwood. “I like Debbie and Sonja at work and all but sometimes, man, it’s just hard to listen to their stories about their kids soccer games, Tupperware, and camping trips. Not all however, share her enthusiasm. Oklahoma City Mayor, Mick Cornett expressed reserve in a recent city council meeting when he pointed out that 12 black men moving to town would cause a 400% increase in the black population and that the area may not be ready for such a dramatic shift in demographics.